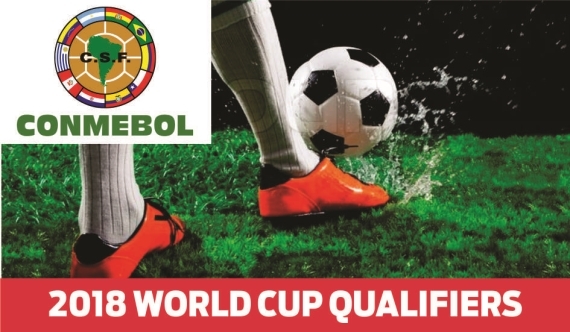 CONMEBOL World Cup qualifiers are upon us. Let's see where we can find some winners. It’s that time of the year again! Club football takes the backseat as the international break takes centre stage. With an abundance of World Cup qualifiers coming up, it would be well worth a look to find out just which teams are worth a punt. South America will have five mouth-watering qualifiers on showcase. So let’s take an in-depth look at these enticing match-ups on hand. Bolivia and Peru will start us off with what looks to be an interesting tie. The pair will have the opportunity to secure a second win to give their 2018 World Cup qualifying campaign a slight boost. Bolivia are second from bottom on the standings with just one win from six qualifiers, suffering five losses. La Verde has won only once in their last 13 games since June of last year and will be hoping to return to winning ways against Peru. Meanwhile, La Blanquirroja have been dismal with four defeats from six qualifiers, scoring just six goals and conceding 12 times. They are, however, unbeaten in the last six meetings against their opponents, but claiming just two victories, drawing the other four. Neither team can afford to drop any more points, so a tightly contested game is expected. The draw is the way to go here. Colombia will be eager to break into the top four of the World Cup CONMEBOL qualifying standings with a win over under-performers Venezuela. Los Cafeteros are out and out favourites to claim the victory, but their opponents will desperate to stay afloat. Colombia ousted Ecuador 3-1 last time out, making it back-to-back victories after edging Bolivia 3-2 away from home. Los Cafeteros will need to build on that and look more than capable of doing so against La Vinotinto. Venezuela, simply put, have been disastrous. They are placed at the foot of the table without a victory, suffering five defeats from six games, scoring just seven goals and conceding 17 times. In order for Venezuela to get a positive result from this encounter, they will need to put in a tremendous effort. Determination, hard work and a positive team spirit is required but truth be told, I just don’t see them claiming a point, let alone a win. However, 11 of the last 12 meetings has seen Under 2.5 Goals – I suggest you follow the trend. Joint log-leaders Ecuador will look to continue their fantastic form in the 2018 World Cup qualifiers when they take on the struggling South American giants Brazil. The sides last met in the 2016 Copa America held in USA and played out to a goalless stalemate. Will there be a winner this time round? Ecuador started the qualifying campaign like a house on fire, racing to the top of the table with four wins on the trot. They were held to a 2-2 draw at home against Paraguay on matchday five, before Colombia dismantled them 3-1 last time out. Brazil have been less than impressive in the qualifiers and as a result, currently occupy sixth place on the table. Nonetheless, they showed their quality in the 2016 Olympics held in Rio de Janeiro, Brazil, claiming gold ahead of Germany in the final. Brazil are unbeaten against Ecuador in the last seven meetings, including five victories. Another heated affair is on the cards, but after Brazil’s success in the Olympics, they should have the confidence and momentum to take all three points here. At 2/1, the Selecao are well worth a dabble – get on! Argentina will kick-start proceedings on Friday morning with a mouth-watering clash against Uruguay. La Albiceleste made a slow start to the qualifying campaign, but have certainly turned things around. They are currently on a three-match winning streak and will be confident of victory especially with Lionel Messi reconsidering his decision to leave Argentina's national team. The Barcelona star is a doubt with a hamstring injury. Uruguay are top of the standings, ahead of Ecuador on goal-difference. La Celeste have won four of their six matches, scoring 12 goals and conceding just four times. They will be eager to maintain that form, but that is easier said than done, especially against a talented Argentinean team. Eight of the last nine meetings between the sides have gone in favour of Argentina but with both sides in top form, I’m tempted to get on Both Teams To Score (Yes) at even money. Paraguay will take on the 2016 Copa America champions Chile on Friday morning. Neither team have been particularly impressive in the qualifying stages, with just one points separating the sides. Los Guaranies have won two, drawn three, and have lost once. All that form shows me is a team built on inconsistent performances. Chile on the other hand, have claimed three wins from a possible six, including a 4-1 victory at Venezuela last time out. Paraguay will have home advantage, but Chile are high on confidence following their Copa America success. Chile have won four of the last five meetings between the sides. The away win is on the cards.